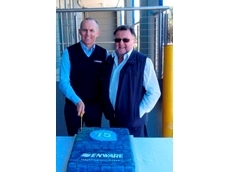 Tapware and safety solutions specialist Enware Australia is celebrating its 75th anniversary this year. 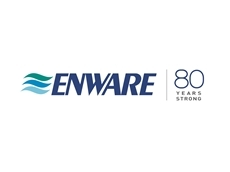 Specialist tapware and safety products company Enware Australia is celebrating the 75th anniversary of its founding this year. Water is one of Australia’s valuable resources and conservation minded operators of public and commercial buildings are often early adopters of efficient water saving technologies. This was the case when one of Australia’s hotels, the five-star Hilton Sydney, installed new Enware electronic tapware to complement the recent major refurbishment that has won it numerous awards, including the Australia Hoteliers Association Best Redeveloped Hotel and Best New Hotel National HM awards. While the $200 million makeover attracted most public and business attention for the extra glamour and class it conferred on one of Sydney’s landmark hotels, it is the behind-the-scenes technologies such as the Enmatic 1000 series basin taps that will quietly pay dividends of hygiene and water efficiency over the years ahead. 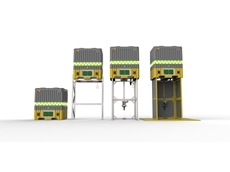 The technology is applicable to a wide range of commercial and industrial applications. “They save water, they save money and they save energy - they are the way to go” says director of Engineering at the Hilton Sydney, George Mansour. The electronic taps are activated by infra-red sensors, eliminating hand-to-tap contact which reduces contamination and increases hygiene. They automatically turn on and shut off the taps so water is not left running causing waste and spillage hazard. The taps are simply activated by users placing their hands underneath them. 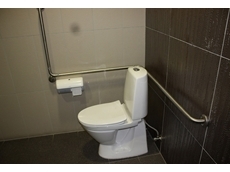 An adjustable sensor beam recognises when hands are present, activating water flow. Then, when the hands are removed, the water is turned off automatically. The taps’ streamlined aesthetic and practical appeal is matched by their durable, solid DR-brass construction with a built in-in filter. With their no-touch activation, the taps also meet occupational health and safety regulations for hand hygiene. “The taps match the look and the feel of the hotel” says George Mansour who installed them in public restrooms on the second and third floors as well as in the glass brasserie to enhance both customer safety and staff OHS, reducing the risk of hand cross-contamination. 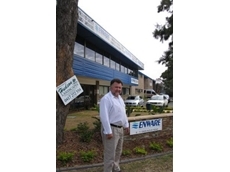 Enware managing director Paul Degnan says the company’s electronic tapware is used in a broad range of commercial and public applications, such as food preparation, hospital and healthcare, aged and disabled care, laboratories and research facilities, schools and universities, commercial kitchens and chemical and manufacturing plants. “In all these applications they deliver the same practical benefits and savings the deliver at the Hilton Sydney. They are a technology that is completely in tune with the times,” he said. 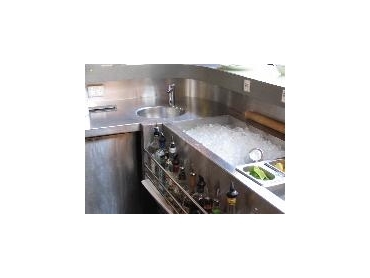 Enware Australia provides a broad range of tapware and safety systems applicable to commercial, industrial, public and private applications. Enware’s range of electronic tapware can operate off batteries or mains power, adding to the taps’ versatility.